Thanks to increasingly free trade and competition and the market differentiation they have produced and thanks to the great march of wine culture around the world, I can walk into a local wine shop and buy hundreds of different wines from dozens of different countries and four different continents. That’s my kind of freedom, and I enjoy it. But you (if you’re like most American wine drinkers) don’t enjoy it as you should — you are limited by prejudices. You are choosing wine for the wrong reasons. You are (sin of sins) ignoring your own palate. I know it’s true. I was once like you. My mind had been narrowed. I had trained my naïve palate to seek a certain style of wine. I had been indoctrinated, and it left me with a debilitating dogma. It left me less free, because, although the shelves were full possibilities that economic liberties had produced, I kept reaching for the same stuff. In you local wine merchant’s shop, just ten or twenty dollars will buy you great freedom to choose, but you can’t use it unless you look past the popular authorities and educate yourself. And the education of which I speak requires no books or lectures. For years I was leaving freedom on the shelf, then it was suddenly revealed to me. 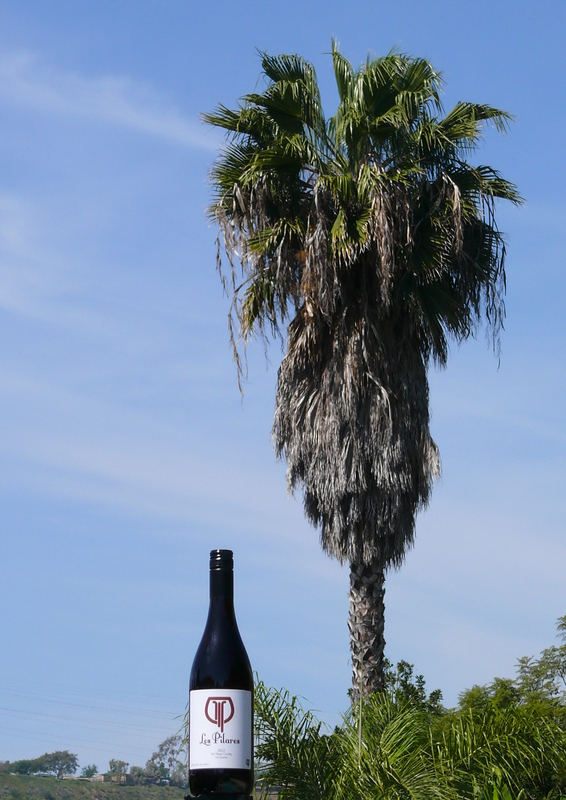 I woke up one day dissatisfied with the wine I was drinking from California and Australia. In fact, it happened to me over several years, but I hadn’t thought about it. I just assumed that I did like what I was supposed to like. I had to forget or reject most of what I knew about wine. You should too. If you are like me and most Americans with an interest in wine, you learned about wine at the feet of Robert Parker or similar wine critics. They introduced the 100-point rating system for wine, and they did a good job taking away some of the mystery that surrounds it. The numbers were easy to comprehend; an 88 was pretty good, and a 93 was excellent, and a 98 would cost an arm and a leg, if you could find it. Today, wherever you buy wine, little signs proclaim things like “Parker 91” and “Wine Spectator 89!” Most consumers were relieved to have these references. You’re going to a dinner party and need to bring a bottle for the host. Hey, it’s a Parker 90 — can’t be bad. And if you didn’t take your guidance from the new critics, you took it from an ambient wine culture that was molded by them. American wine drinkers were like a bad girlfriend — needy and vulnerable. The critics met the need and exploited the vulnerability. It all started in 1982. The 1982 Bordeaux vintage in France. More than in California or Australia, vintages matter in Bordeaux and Burgundy, mostly because their weather is less reliable and their methods leave more room for natural variations. 1982 Bordeaux was both unusual, even atypical, and exceptionally good. Parker proclaimed it from the rooftops, and it was a huge hit with consumers in the U.S. This great Bordeaux vintage, combined with the newly important American wine market and the influence of an innovative wine critic, started a swing of the pendulum in wine styles that has now reached an extreme. That year, everything conspired in Bordeaux to produce a bumper crop of very ripe fruit — the flowering came early, pollination was good, and there was plenty of sun and heat as the grapes matured. By Bordeaux’s standards at the time, the resulting wine was much richer, sweeter, and fruitier than usual. It was easy to drink young, unlike more traditional Bordeaux that need at least a few years in the cellar, yet it still had sufficient tannins and acid to avoid being syrupy. When the vintage came out, Robert Parker, an American lawyer with a great palate and and a subscription newsletter with thousands of followers, was just making his bones in the industry. He used his 100-point scale to rate the Bordeaux of ’82, and he absolutely loved the vintage. He proclaimed that it could be the vintage of the century. His judgment moved millions of bottles so many in fact, that vintners began making wine to please his particular palate. At the same time, the U.S. market was becoming more important, as a result of some liberating political and economic events. The stagflation of the Carter years was over, tax rates were coming down, and the dollar was getting strong. I remember in the mid-80s buying French Francs 11 to the dollar. That would put the dollar at close to 2 Euros today. As I write, you can’t buy eight tenths of a Euro with a dollar. Americans went mad for the 82 vintage even before it was released. They bought up the futures contracts and later drank up most of the wine before it was mature. A whole style of wine — ripe and ready, often called “fruit-forward wine” or “fruit bombs” — took over. With rich, ripe juice, wine makers could get good scores on Parker’s 100-point scale, and those scores opened up the large and growing U.S. market. The better fruit bombs might benefit from long aging (unlike many other wines, good Bordeaux usually does) but it was delicious even when young. A more traditional Bordeaux might be too harsh and tart, unless it had spent a decade or more in a good wine cellar. But who has a good wine cellar? Hell, back when the ’82s were released I was drinking the stuff in dorm rooms. I had no way to store wine. So Parker and American drinkers and the new style broadened the market for premium wine. The economic incentive for making wine in the super-ripe style was strong. But how do you make such wine in years that don’t look like 82? There are two ways. One is fruit cropping; that is, reducing the amount of fruit on the vine severely so that the vine has ample resources to ripen the remaining fruit. The other is hang time, which involves leaving the fruit on the vine well after its initial ripening to get the sugar content higher. The first method, severe fruit cropping, can result in deeply concentrated, rich wine. However, it makes for such small yields that, for the most part, only wine makers who can charge very high prices do it. The second method, extended hang time, can result in pruney flavors and wine that is rich but bland or cloying, because the acidity of the grapes drops as the ripe fruit hangs on the vine. Some vintners will tart up the wine by adding acid, but the pruney flavors remain. Unlike Bordeaux, Australia and California have the weather needed to produce extra-ripe grapes almost every year. So as the pendulum continued to swing towards ever more fruity and ripe wines, France, the original homeland of the new style, suffered as California and Australia prospered. And as the years went by, the pendulum continued to swing, so that in California and Australia winemakers pushed to greater and greater extremes, cropping heavily and letting the fruit hang and stuffing the juice into small, new oak barrels for years and adding acid to adjust the otherwise flabby flavors. The results could be a caricature: 16% alcohol, fruit like a mouthful of Smuckers with some raisins and prunes thrown in, and wooden influences that taste like a generic additive, the whole amounting to something more like a cocktail than wine. Stick a plastic umbrella in your glass and you’re good to go. To put this in another way: the stuff can flatter the hell out of your palate and stand out at wine tastings, but it sits uncomfortably on the dinner table. It’s too rich, too sweet, too fruity, and too woody, and it just doesn’t taste good with a plate of spaghetti. Also, after a while, it all starts to taste the same. And for good reason: it’s all made in the same way, with the same aims, and it all includes a big dose of an important ingredient that doesn’t vary much — oak. As a consequence of the new style, drinkers acquired a taste for what I call “wood that sticks out.” This was a subtler change but, I think, one that has made a mess of things. Before the new style, the only wines that traditionally were rounded out in new oak barrels were age-worthy wines, those intended to spend years or even decades in the bottle before being drunk. That made sense, because new oak adds tannins to wine that make it last longer. It also adds flavors and scents, often described as vanilla-like or creamy, that can be agreeable. These scents and flavors fade over time and melt into the other elements of the wine. But the new drinkers who gobbled up the 82 Bordeaux didn’t wait. They drank it when it was young and the wood was obtrusive. Now, there’s nothing wrong with enjoying the effects of new oak, even in young wines; but drinking only woody wines is a stupid limitation on individual taste. Most wines from most traditional regions have always been made without the use of new oak and are ready to drink young. Yet most Americans drink absolutely none of those wines. When was the last time you had a sauvignon blanc or a cabernet franc from the Loire Valley, or a Roussanne from the Rhône, or a Pinot Noir from Alsace, or a Riesling from Austria, or a Poulsard from the Jura, or a Negroamaro from Puglia? I thought so. So here we are: Americans started drinking more wine. I think that’s good, because wine can taste good, especially with food, and it’s good for you. Many producers were making wine that was easier to drink young. Excellent! But it all went wrong. We lost the two best things about drinking wine: it’s great with food, and it comes in an amazing variety of types, styles, colors, and flavors, changing from place to place and year to year and vintner to vintner. And that, dear reader, is a damned shame. Now I want you to do something about it. Stop drinking just what you know. “Hey, here’s a California Cab, Parker 92 for only $17,” or “Look, an Australian Shiraz, Wine Spectator 93 for only $15!” I don’t ever want to hear that again. The wine world is much, much bigger than that. Off the beaten path there are great bargains and varied delights to discover. And there is wine you can really live with. The mother lode of vinous diversity is in France and Italy. Try it. Try a Beaujolais Cru (no, not that Beaujolais Nouvea crap with flowers on the label), much more flavorful than a “Nouveau” yet more delicate than a pinot noir. Try a simple Chianti; it’s gritty astringency will send you back and forth from the delights of the glass to the delights of your ravioli in tomato sauce. Try an Aglianico from Basilicata; a rich friend to your roast pork. Have a few glasses with dinner without overwhelming your food or your liver’s capacity to process alcohol. Free your mind. Follow your palate.